Rewatching his Laver Cup highlights, wow does Sock get some raquet head speed. Anyone know how he has his raquet customized? Have not seen his specs, but assume the stick is like 105HL...! 105 inch Head light ??????????????????????????? Racket itself isn't that long ???????????? He was testing out different weight setups last year and the last one I remember had a low 340s swingweight, a 312 g static weight, and around 2 points headlight strung. That may be different from what he is using now though. that's very surprising. I read an old thread a while ago which revealed his balance to be 309mm (unstrung) and a babolat rep said sock's swing weight was between 313-319. Much more believable when you look at his swing path. 340 and the way he hits the ball would be nigh on impossible me thinks. Assuming the 313 swing weight is unstrung that should be a low 340s strung swing weight. post 44 in that thread - doesn't actually specify unstrung or strung so perhaps. The way he whips it I can't help but think it would be very difficult to swing like that with a 340ish swing weight. Jack is not a small guy at 6'3", and has been playing professional tennis for years. Why would he not be able to swing a stick like a pro that weighed a bit less than most pros use to start with? I think more people on these boards should watch more professional matches in person. The RHS these pros get with their 'heavy' rackets would probably blow their minds. Sock's game is incredible to watch when he's on. I can't imagine how he gets so much whip on the ball with any racquet, much less a pro stock with a swing weight of over 330. Who knows what a professional touring life of training can do for you. I think it's important to note that he also chokes up on the grip quite a bit, too, which would significantly reduce the swing weight of his racquet and make it easier to whip. Nah, no way. I discount this theory out of hand. You guys realize that 313SW is 12yo girl SW range? Pros play 350+SW all the time, Murray plays 400SW. Thiem has a 343SW iirc and swings it like a bad ************. Pretty sure Jack has at least 340SW, and he swings it like he does because he's not an out of shape 3.5 player on a tennis forum but a top 10 ATP player. It's not meant as an insult but as a reality check. These guys are so much better than we are. It's only when you are court side and watch these guys play that you realize that these guys are way way out of our league. I played a former 400atp player last week and the speed the ball comes at you is unreal. I never ever met a 5.0 player hit that hard. It's a whole other world. And that guy would get wiped clean double bagel by Sock. I can't do it, so nobody else can, it's impossible!! Personally, I'm aware a lot of pros play with high swing weights, Murray used to use around 400 but after his wrist injury it came right down. Thiem and Djok and wawrinka etc all these guys do have high swingweights, but there swing paths are not like socks at all, not whippy. 1) He chokes up on the grip, effectively reducing whatever swing weight the racquet is by a large factor. 2) I think it has been mentioned that unstrung, his racquet weight was 320 and a balance point of 309mm. 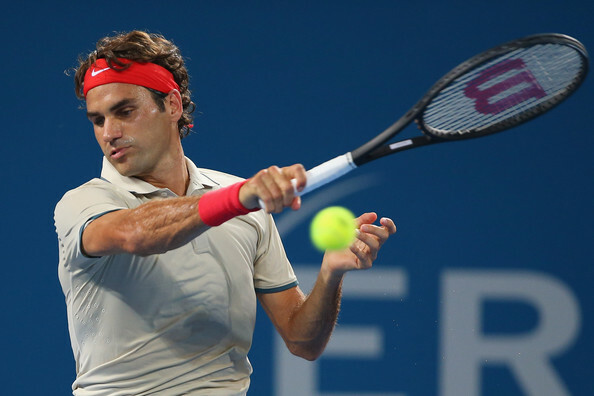 I have a hard time imagining his racquet is polarised given his swing path. Taking these two things into consideration, it's not a stretch to imagine that his racquet could be playing close to the Pure Aero VS Tour, which depending on string set up would come in with a swingweight below 340 for sure. I think it's highly likely Sock's swing weight is at or under 330. This is just my two cents. I've played at a pretty high level, so I think I'm fairly capable of discerning what is likely for these types of players. I've seen and held Sock's personal racquet on a trip to NYC in October. Believe me, it is right about the 340 SW mark. For reference, it swung slightly heavier than the 335 SW Ceramic Midsize and lighter than the 360 SW Soft Control I was with (all shadow-swung of course). Yes it was strung up and I was told there was lead under the bumper guard. Hmm, interesting. You're swing weight values are just what you 'felt' when swinging? I' can't imagine the lead would be more than a couple of inches, his swing path has so much lag. I think any pro trying to play a 320g frame at 313sw would look like a fool. They couldn't return a serve, they couldn't put out a volley etc. They need weight to counter attack, to have some stability against incoming balls. Balls that are incoming at 3000+rpms and close to 100mph on a regular basis. I looked through all the Jura racquet specs from Roland-Garros 2009 and the lightest unstrung frame of all is Carlos Moya at 307g. You might agree that Moya has (had) one of the whippiest forehand on tour and that at 308g you might be on to something. Well when you add strings this figure goes to 325-328g depending on string choice. But wait, his SW was 360! There are no free lunch, they can't play a light static weight and light SW frame. They'll get destroyed. The new trend is to go as polarized as possible and we see a lot of low static/high SW frames (Thiem, Nadal, Williams). But I'd be really surprised if Sock had a sub 340sw frame. Moya had one of the most polarised sticks out yeah thats right. But I wouldn't call his forehand whippy at all, heavy yes, he got a lot of spin, but his racquet had very little lag. He had a prototypical high take back that had the bumper pointed to the sky and behind him. Compare that to Sock and Kyrgios, who's bumpers are facing the net next to their faces, Kokkinakis too, and their handle to the back fence. Kyrgios uses a 310g stock yon at 55 pounds. He handles pace just fine. Whatever you lose in weight you gain in racquet head speed its just a trade off. Given sock strings low that would makes sense for a polarised set up as they are usually less powerful than depolarised frames. I guess the fact that he chokes up on the grip allows him to effectively reduce a 340 swing weight racquet below 330 I would imagine. I did not take specs on hiss racquet. I knew he specs on mine, as I had measured them. Where'd you get that Jewel??? Unstrung, no OG. Any lead under the bumper or anything in the buttcap? So I guess that settles the Sock plays with a light frame argument. Once strung and with og damper the static weight is close to 350g. It could also be close to the playing specs of the Aero VS tour, which is 337 strung, add an overgrip and dampener to that and you could have something close to sock specs, unless he has lead under the bumper, I've been skeptical of lead underneath just because of how whippy his stroke is. Any lead under the bumper alejo? How would it be impossible? It's ultra efficient. He could probably use whatever swing weight he wanted. He was averaging over 84mph and 3400rpm at the WTF on the forehand side. He was not doing that with a 319 I can promise you that. Yeah i guess he chokes up on the grip a fair bit which would make a 340ish swingweight more manageable. What does "chokes up on a grip" means? as iceman says, he positions his hands farther up the grip towards the frame, effectively making the racquet shorter. It kinda seems like a matter of camera angle, his heel pad drops off while his pinky is typically more visible. chokes up pretty clearly. I'd say 3/4 of an inch. That reduces a swingweight quite a bit. That grip just looks freaky weird. I suspect that quasi-Hawaiian grip almost forces you to hold the grip so it appears like he’s choking up. Choking up the racquet just raises the point where your finger is on the frame. You see the same thing with Kei Nishikori. 3/4" might be a bit more. But the racquet's swing weight is the same. You can get the same effect if you have more index finger separation. Here's a pic of fed where you can see how much of a gap he has on his index from the rest of his hand. This is the part of how you grip the frame that really matters and should be concerned with most. From what I've seen is players with more western grips are a bit closer together because of the angle of the grip, and might choke up more because of that. Ultimately just both ways the top players make the racquet feel faster, as they have less lever length to work against. What if its unsrtung sw 313? Then it will be around 343SW after strung. Same, 320g is gonna be unstrung weight. Does is make more sense? Does anyone know if Jack plays with Leathergrip ? Just like Berasetaqui of the old times ? He probly meant 105 mm but thats still 32 points headlight so hes still talking nonsense. I thought nadal wasnt any more hl than the avg pro setup, just a lighter overall weight. To put some more perspective, here is my son, just turned 11yo this month. He plays with a Wilson 98S with a leather grip and lead at 3 and 9. The SW is 338. Look at his racquet head speed. With proper technique, a 80lbs kid can swing easily what some here consider high SW territory. 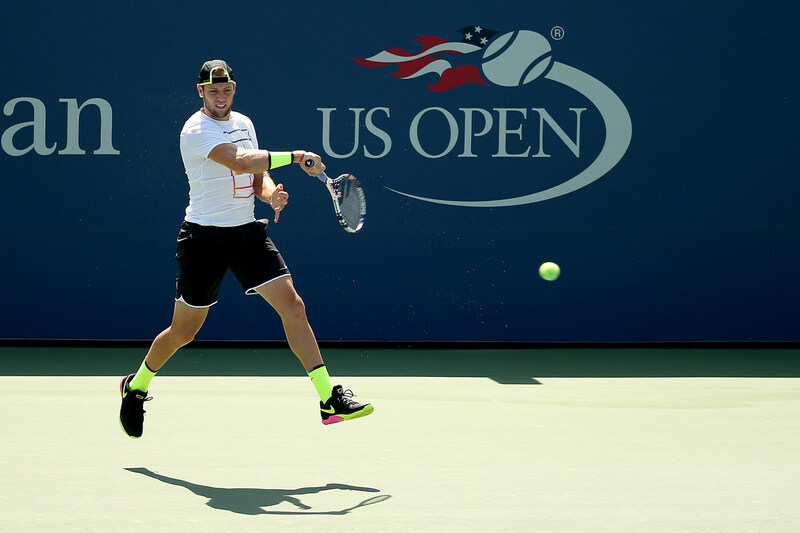 Imagine what Jack Sock can do. ...kind of a delayed response, but I meant 105 points headlight given the whipping action. Just stuff the handle with a roll of quarters and you’re on the right track but to your point, you run out of real estate fast at 27”. Yep, including overgrip. Swung a couple other pro racquets as well and the most apparent thing is how firm yet "plush" the grip feels (unlike hollow stock frames, especially babolat). Must be either filled with silicone or some sort of foam.